Have you ever had those mini donuts being sold in Glorietta in carts? 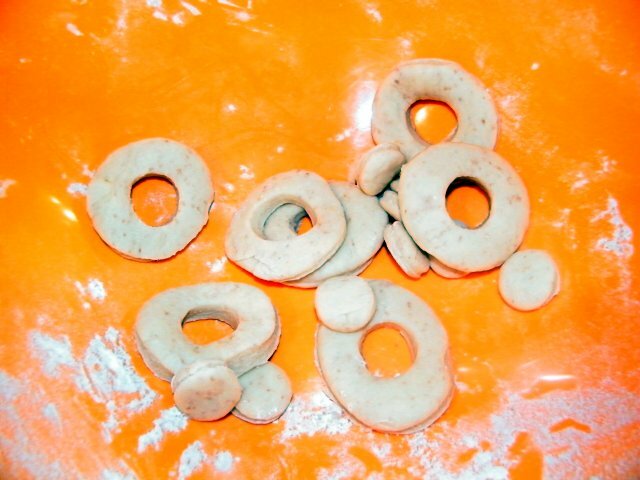 The cutesy donuts would start as dough dumped on one end of a conveyor belt-like device with hot cooking oil. When they get to the end, they're cooked and good to go (with a dusting of flavour - your choice). I remembered having those mini donuts while we were dunking the donuts into the oil. The one's we're having are regular-sized, though. This is a recipe by a friend's Mum. 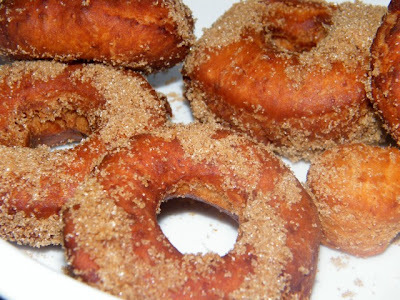 She brought along some of these donuts in one of our picnics and we loved it. We asked her to make some more. Then they visited us for dinner one night, and what else is there to do than to ask her how to make the donuts! Mix the yeast in 1/4 cup lukewarm water in a bowl big enough to accommodate the 3.5 cups flour. Then add to this the milk, sugar, salt, egg, oil, butter, and half of the sifted flour. Mix with a wooden spoon until smooth. Add the rest of the flour, and this time mix with your hand, then transfer to a flat surface dusted with flour to prevent the dough from sticking to the tabletop. 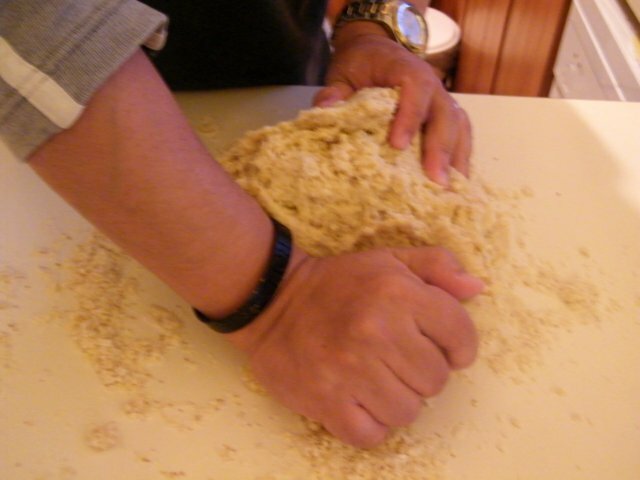 Knead the dough for about 5 minutes until elastic. Form into a ball. Coat your bowl with cooking oil and place your dough in it. 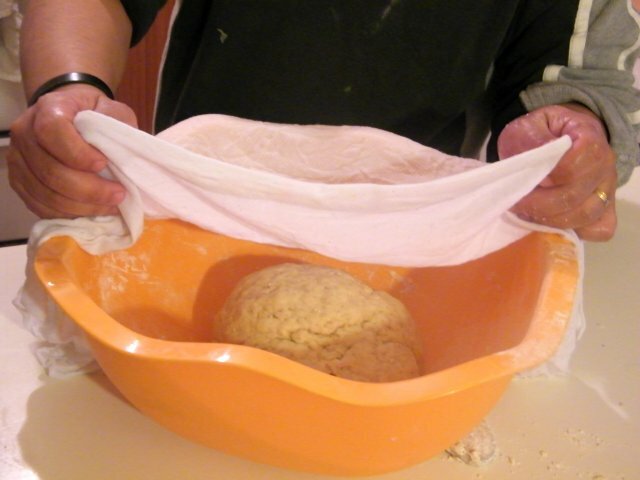 Cover with a damp cloth and let sit for 1.5 hours, at which time the dough will rise to about twice its size. Place the dough on a dusted flat surface and roll it to about 1/3 inch thick. Cut out the donuts. A donut cutter will make a swift job out of it, bit you can improvise and use circular moulds to cut the circles, and a smaller one for the hole. Leave for 30-45 minutes so the flour can expand further. There is no need to cover. 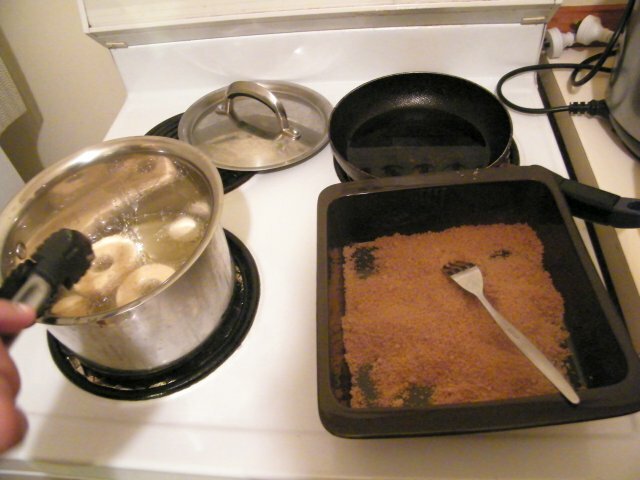 Heat up some cooking oil in a pot, sufficient for the donuts to be submerged. Deep fry the donuts per batch, ensuring these do not crowd in the pot. Remove when brownish in colour and let sit on kitchen paper to absorb excess oil. Serve hot. 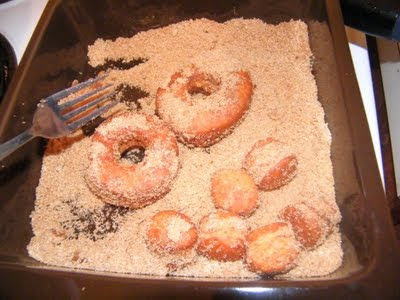 Filipinos in general have a sweet tooth, so feel free to coat the donuts with brown sugar before serving!